Staying at a cruise port hotel overnight makes perfect sense. You simply want to do everything within your power to ensure that you get your cruise ship on time. Therefore, it helps to plan to arrive in your port of departure the day before you sail. My family has stayed at a cruise port hotel only once out of the eight times that we have cruised. Why then would I encourage you to plan to stay at a hotel the day before your family Caribbean cruise sets sail? Simple: We have not had many reasons for staying at a cruise port hotel because of where we live. This may not be true for you. We live in McDonough, Georgia, which is about six to seven hours by car to most Caribbean cruise ports in Florida and nearby "cruise" states. 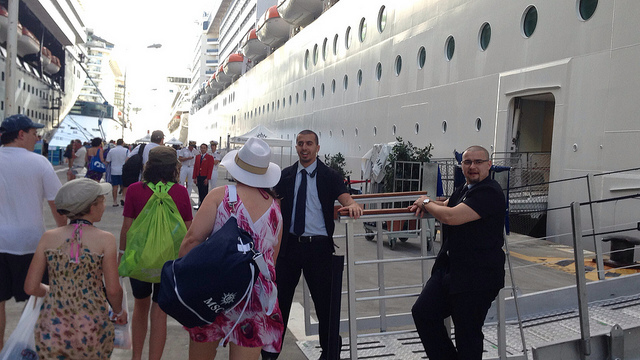 Consequently, we have driven each time we take a family cruise vacation. 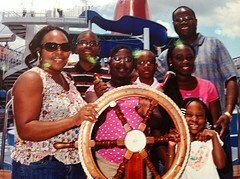 My family has sailed from four Caribbean cruise ports in Florida: Miami, Port Canaveral, Port Everglades (Ft. Lauderdale) and Tampa and have driven to all four. Generally, we leave about 5:00 a.m. the morning of the cruise and drive to the port. For our Caribbean cruise ship vacations from the Port of Miami, however, we had to leave the night before - that was a 12 hour drive. One thing that was true about driving to the ports in the morning was the added stress of getting out on time and hoping that we got to the cruise port before the ship departed. Luckily for us, we have always made it to the cruise terminal on time. Unfortunately for some people, they have missed their cruises' departures and have had to spend extra money to "catch" the ship at the first port of call. We have witnessed this. You do not want this to happen to you. That is one reason I encourage you to plan to stay overnight at a cruise port hotel. On one occasion, we stayed at a cruise port hotel for an all inclusive Caribbean cruise, and it was certainly a big difference. 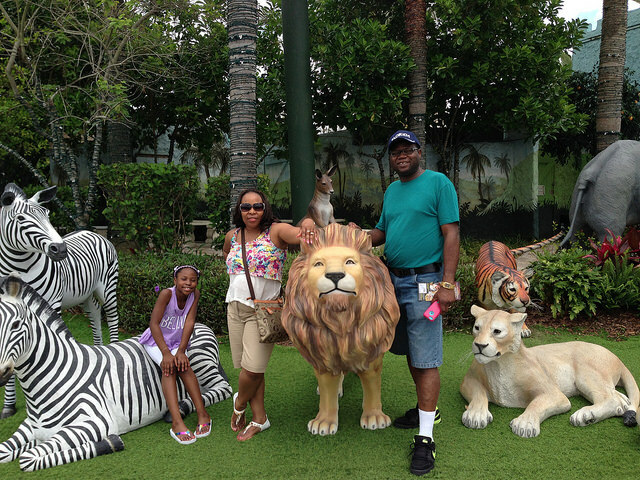 The trip was a 4-day Bahamas cruise, leaving from Port Canaveral in Florida. The sail date happened to be on a Monday. On the Sunday before, we drove into Orlando and stayed at a Sheraton hotel near Downtown Disney. Since our plans did not include Disney, we decided to visit Downtown Disney to look around. It turned out to be a splendid evening - walking around, checking out the sites, watching some entertainers and taking some pictures. The following morning we woke up refreshed and ready for the one hour drive to Port Canaveral to board our ship to the Bahamas - Royal Caribbean's Monarch of the Seas. Imagine that - no rushing and no real worry about missing the ship, because we were only an hour away. That is one great advantage of staying overnight at a cruise port hotel: you increase your chances of boarding your Caribbean cruise ship at its US departure terminal - not at the first port of call in the Caribbean! 2. Increased opportunity to visit major attractions near your cruise port (as discussed below). Many families plan a sort of double or combo vacation - an inclusive Caribbean cruise and a couple days visiting Disney World, Sea World, The Holy Land, Universal Studios, etc. in Orlando - or attractions near other cruise terminals elsewhere - before or after the inclusive family cruise. Generally, families plan a 7 or 8-day vacation which includes an inclusive 4-day Caribbean or Bahamas cruise vacation (which is less expensive than a 7 day Caribbean cruise) and use the money saved from a longer cruise to visit a popular theme park or some other famous attraction in Orlando, Tampa, New York, Norfolk, or elsewhere. If you live far away from Caribbean cruise ports and have to fly in to board your cruise ship, it pays to plan to visit the attractions in the area - sort of "killing two birds with one stone". It is easier to do this than to plan a second trip to the same area. 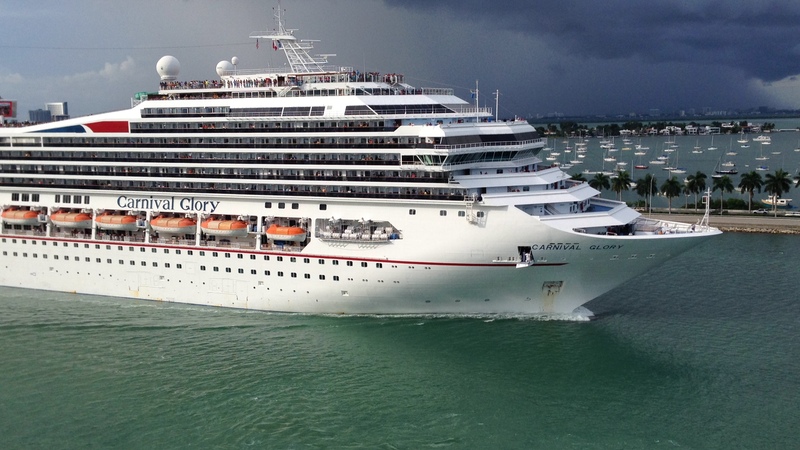 Luckily for us, we can plan separate trips due to our proximity to Caribbean cruise ports. This April we took the kids to Disney World, and in July we will take an all inclusive 7-day Southern Caribbean cruise from San Juan. If you live outside the United States or in a state far from Florida or other cruise ports, plan to book a hotel and visit some of the neighboring attractions, en route to your inclusive Caribbean cruise. Staying at a cruise port hotel brings you the best of both worlds! I have compiled some pages with information on hotels near various U.S. cruise terminals. Have You Stayed at a Port Hotel? Do you want to recommend a port hotel or caution against one? Please share it! Now, you are armed. One leg of your family's inclusive Caribbean vacation is complete as you choose the right cruise port hotel.